Calligraphy artist will be onsite to brush calligraphy for guests. 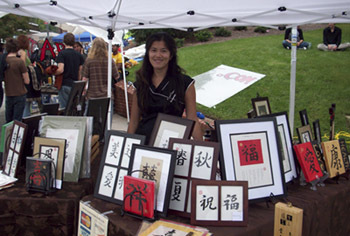 Calligraphy is brushed on traditional rice papers, size at either 5 x 7 or 8 x 10 inches. 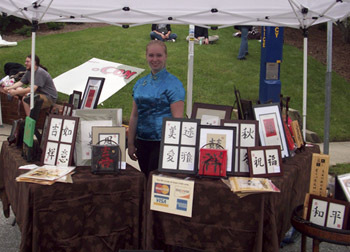 Calligraphy artist will come to your home/office to teach basic calligraphy with your guests, employees or friends.